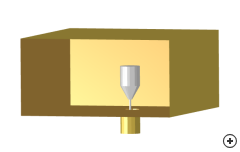 Image of the Wideband coax to guide transition. In many microwave systems using waveguides, it is often necessary to interface to other type of transmission mediums, for example, a transition from a coaxial line to a rectangular waveguide. 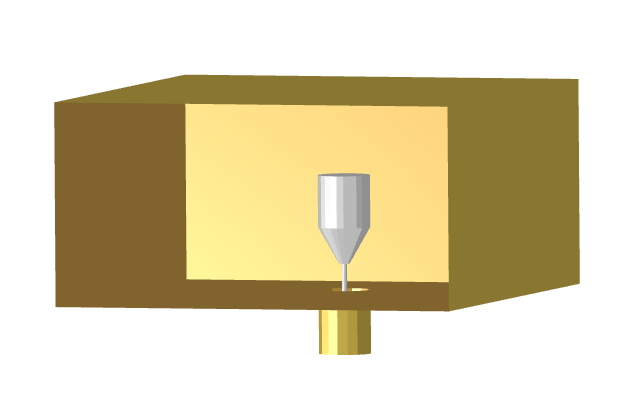 In the more common version of this transition, the centre conductor of the coaxial feed is extended into the waveguide as a probe. An advanced option, employed in this implementation, uses a shaped probe to improve the bandwidth of the structure.